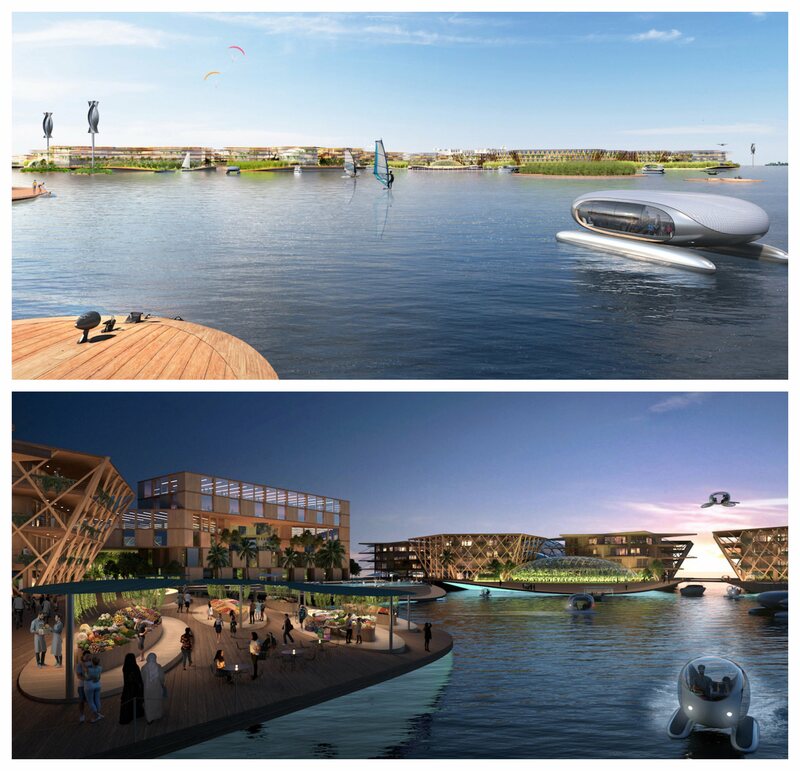 Oceanix City is a futuristic concept for a floating city which its team, Danish studio Bjarke Ingels Group and non-profit company Oceanix believe could be the future of sustainable living. The design, unveiled at the United Nations headquarters last week, could withstand natural disasters like floods, tsunamis, and hurricanes and house up to 10,000 residents. Today’s diverse urban cities face new and growing threats, from climate change, growing populations, and growing inequality. 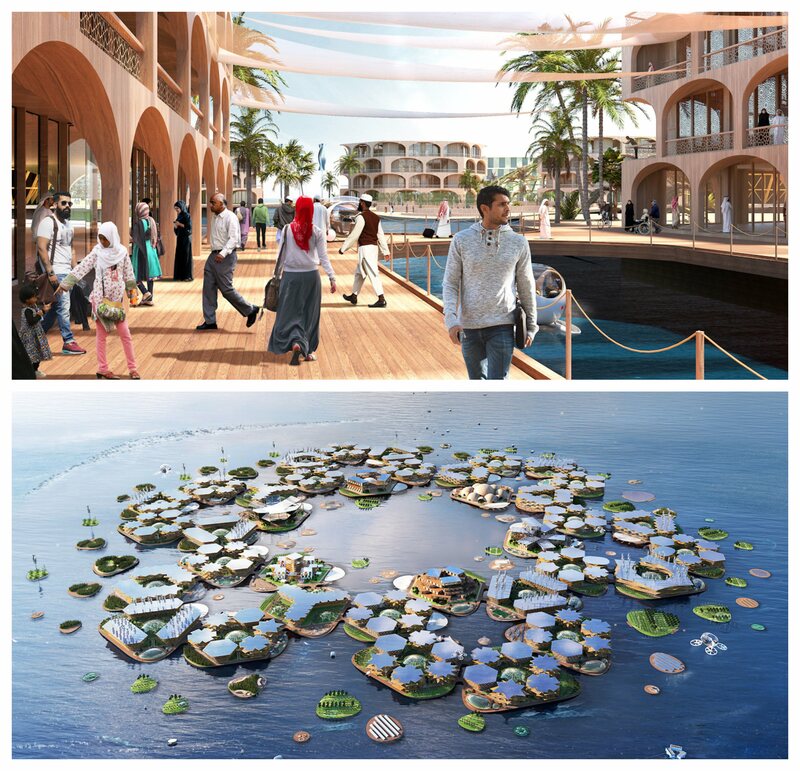 But in the roundtable discussion, convened by UN-Habitat involving marine engineers, scientists, architects and entrepreneurs last week, sustainable floating cities were posed as a solution to such urban challenges. 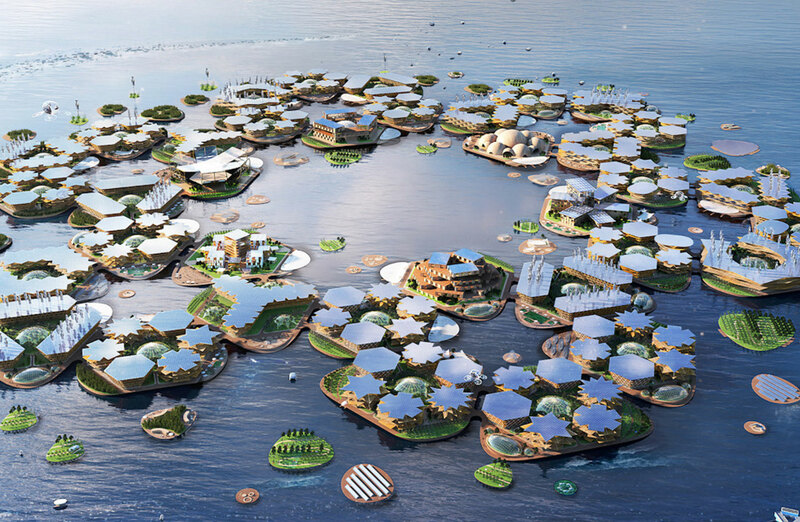 Oceanix City was unveiled as a connected network of hexagon shaped platforms, anchored to the seafloor. 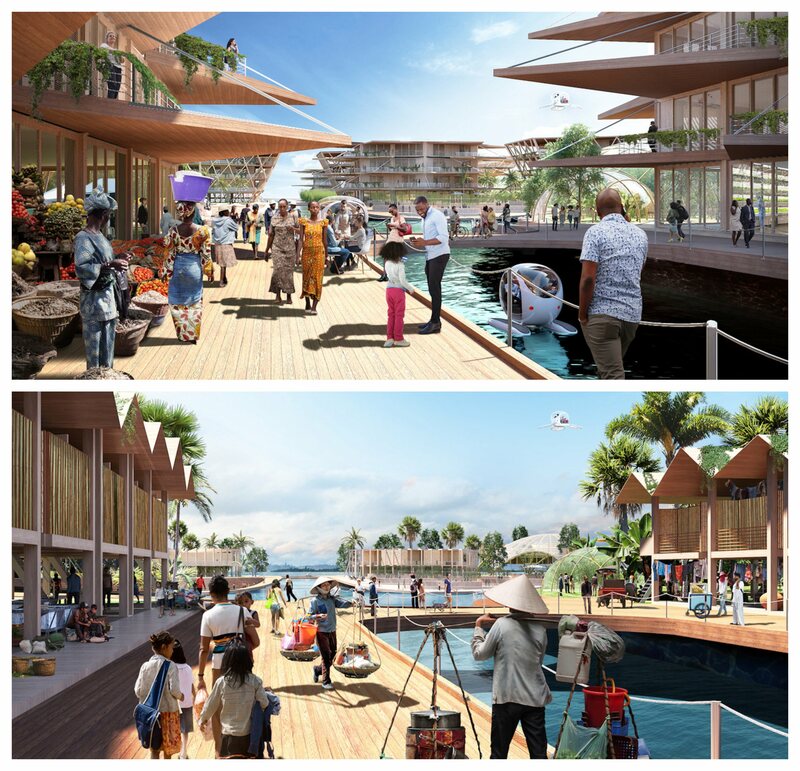 BIG founding partner Bjarke Ingels said the proposal explores the next “frontier for human settlements” as the project addresses housing shortages and threats from rising sea levels. 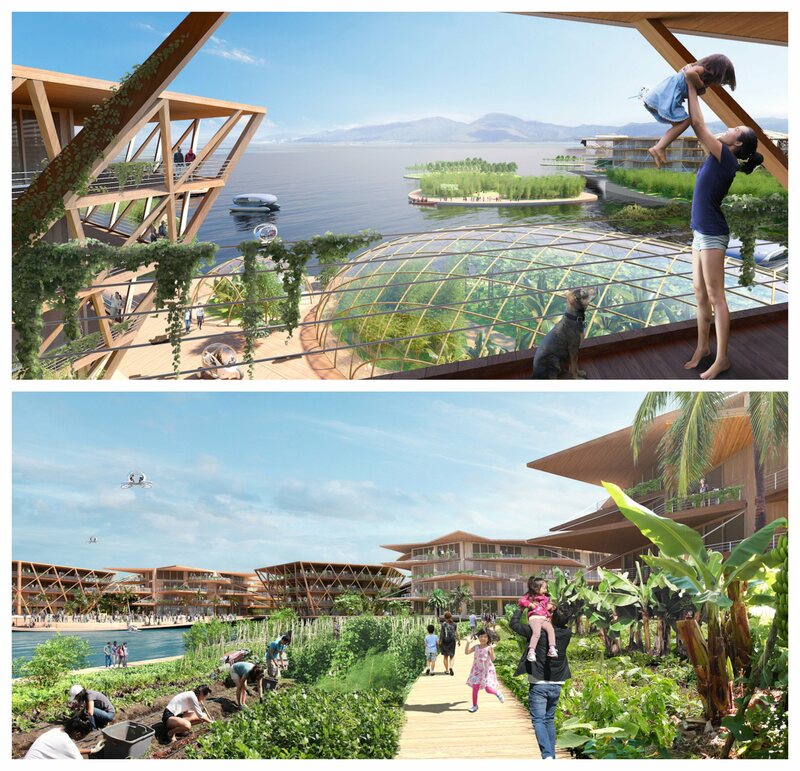 Remnants of Kevin Costner's 1995 sci-fi thriller Waterworld aside, the utopian vision would see its residents use 100 per cent renewable energy, eat a plant-based diet grown via ocean farming and use small smart cars to get around. The island modules can be linked together and scaled up in configurations to form city blocks or entire cities. The city would comprise a cluster of platforms that could each hold around 300 residents. The clusters would be repeated in multiples of six to form a 12-hectare village, and scaled up with the entire city able to house up to 10,000 people. “Our approaches to development and environmental sustainability in cities need a serious retooling to meet the challenges of today and tomorrow,” UN deputy secretary-general Amina Mohammed said. “We live in a time when we cannot continue building cities the way New York or Nairobi were built. “We must build cities with solutions for low‑emission development... We must build cities for people, not cars. And we must build cities knowing that they will be on the frontlines of climate‑related risks, from rising sea levels to storms,” Mohammed said. Hexagon shaped: Ingles said Oceanix City is designed as a human-made ecosystem channeling circular flows of energy, water, food, and waste. The villages would sit in proximity to major coastal cities. And in the event of a disaster, the platforms could be towed to safer locations. “Nine out of 10 of the world’s largest cities will be exposed to rising seas by 2050,” Ingels said.